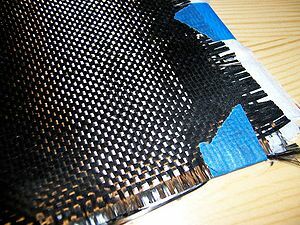 I came across this post about a new use for carbon fiber— really awesome use of a common material. I love that it starts as simply as carbon from a pencil collected on scotch tape, and leads to a very simple manufacturing process of coating plastic with carbon, setting it up with a laser, and using it as a capacitor to distribute energy. Just amazing! Watch this little film…I promise you will be amazed too! Once on a CD presentation, I heard some futurists talking about — the future. One in particular impressed me with his comment, that as creative beings, we will always invent and aspire our way out of problems. It’s just in our nature! This seems to be true of these guys working with carbon fiber. They won the Nobel Prize for it too. Whooo-hoo! This entry was posted in Great Information, Materials and tagged Graphene. Bookmark the permalink.